March from Liberty Plaza to WTC 7 at noon each day. Occupy the park in front of WTC 7 until nightfall. General Assemblies will be held at 2pm each day to discuss the direction and continuation of the Occupy Building 7 occupation after 11/20. It is time for us to occupy. Ten years later, it is time for us to give voice to our own growing frustration by aligning firmly with the Occupy movement and making 9/11 one of the key issues the Occupy movement stands for. The 10th Anniversary of September 11, 2001 is a moment to reflect on why we continue to fight for a proper investigation into the tragic events of that day. It was the 9/11 families whose relentless campaigning led to the formation of the 9/11 Commission. It was their leadership that established the moral framework for millions of concerned citizens to join the pursuit of truth. It is their perseverance, despite the passage of time, that continues to inspire millions to fight. On the 10th Anniversary of September 11, 2001, let us remember that the most meaningful way to honor those who died is to continue to fight for the truth. We thank you for standing with NYC CAN and with the 9/11 family members, first responders and survivors NYC CAN represents. Please watch the 10th Anniversary TV ad and consider donating to our 10th Anniversary Campaign as an act of remembrance and in solidarity with the families who continue to seek the truth. The International Hearings on the Events of September 11, 2001 will be held in Toronto, Canada at Ryerson University from September 8 through September 11. At the hearings, expert witnesses will present evidence that the U.S. government’s investigation into the events of that day was seriously flawed and failed to account for what happened. 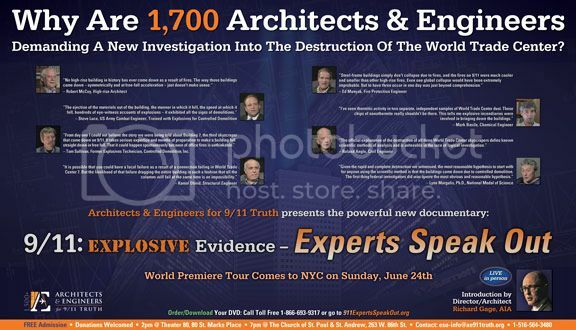 The result of this historic event will be the creation of the Final Report of the International Hearings on the Events of September 11, 2001, and a DVD of the event including the testimony of every expert witness. Because the Remember Building 7 10th Anniversary Campaign is a proud sponsor of the Toronto Hearings, when you make a generous donation of $100 to the 10th Anniversary Campaign, you will receive a copy of The 9/11 Toronto Report and DVD in the mail. And if you make a donation of $50, you will receive a copy of the DVD. Do not miss this incredible opportunity to support the 10th Anniversary Campaign and receive complimentary copies of The 9/11 Toronto Report and DVD. Donate Now! Visit TorontoHearings.org to learn more about the Toronto Hearings and RememberBuilding7.org/10 to learn more about the 10th Anniversary Campaign. I have already donated, will I get the DVD and Final Report? If you have already donated at least $100 to the 10th Anniversary Campaign, you will receive a copy of the Final Report and DVD – you don’t need to donate again. The same goes for those of you who already donated between $50 and $99 –you will receive the DVD. If you already donated a sum less than $50 or $100, you can make an additional donation to bring your cumulative donation total up to $50 or $100 and you will receive the corresponding gift. If you already donated $50, please do not hesitate to donate another $50 and receive your complimentary 9/11 Toronto Report in addition to the DVD. Please Donate Now and thank you for you generous support! 10th Anniversary Campaign - Make the Pledge Today! What Will You Be Doing on the 10th Anniversary of 9/11? The 10th Anniversary Campaign will use the unprecedented level of attention and burning desire for truth felt across the world to mobilize thousands of people to donate a total of $1 million between Labor Day and September 11th. 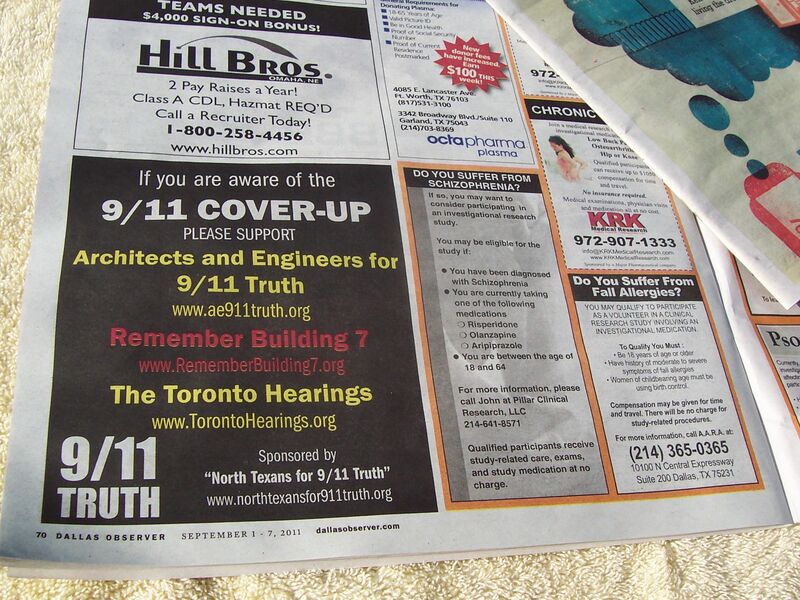 Remember Building 7 will use that money for an historic nationwide ad campaign in the month of October showing the American people the unmistakable footage of Building 7's demolition and forcing the mainstream media to finally discuss Building 7. The campaign will be a three-pronged blitz of TV, print, and out-of-home advertising. New York City subways will be flooded with poster ads while TV ads saturate every major cable channel. Print ads will appear in several national publications and in local newspapers in Boston, Chicago, Los Angeles, San Francisco and Dallas.